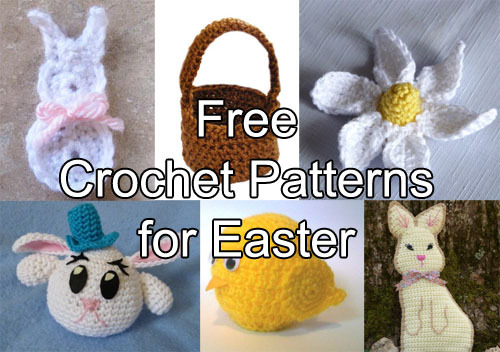 In this post I rounded up a bunch of free crochet patterns that we have on the blog that are Easter themed. There are a lot of bunny related patterns, but also some spring patterns that you may not have thought to crochet for Easter. Springs flowers, doilies, and coasters are also included. I threw in one of my favorite necklaces which would make a great addition to a spring dress for church. Have fun crocheting for Easter! What are you crocheting for Easter? Share your projects in the comments below! This entry was posted on Wednesday, February 28th, 2018 at 9:46 AM by Rachel Choi	and is filed under Best Crochet Patterns, Free Crochet Patterns. You can follow any responses to this entry through the RSS 2.0 feed. You can skip to the end and leave a response. Pinging is currently not allowed.